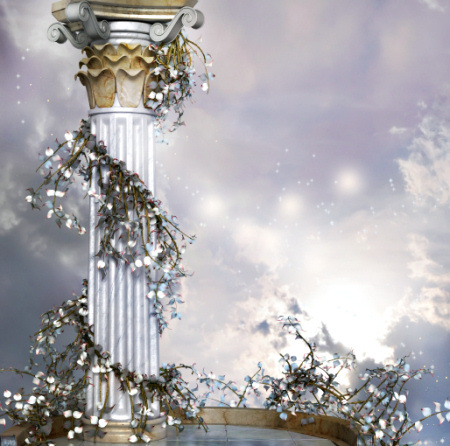 Lovely architectural columns, stands, and stairs leading to an angel’s realm. 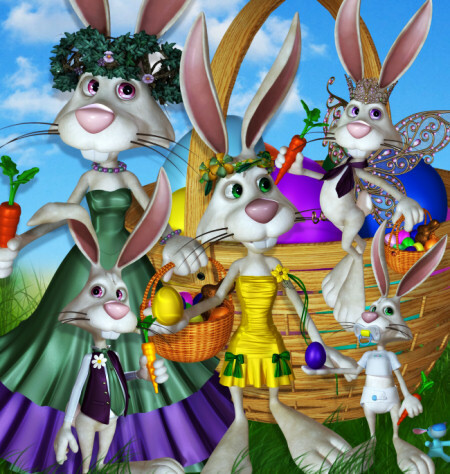 Create stunning Easter, holy, or fantasy images with these graphics. 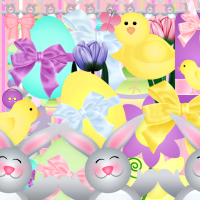 Adorable Cookie Bunny graphics just in time for Easter. Bring some springtime sunshine to your designs with these whimsical characters. Bunny Family Graphics, a special collection of bunnies. Each one has a unique outfit, making them more versatile for various designs. 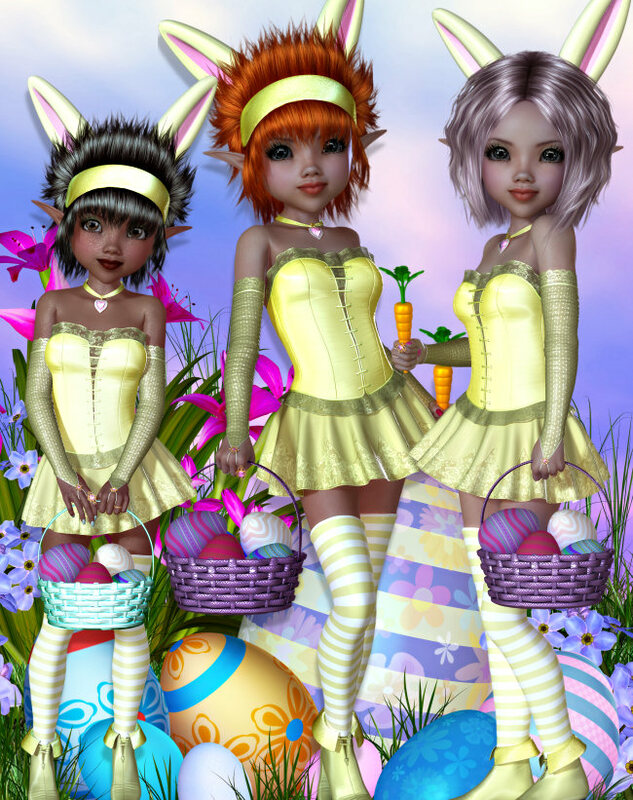 Easter Goth Bunny Graphics–something different for Easter. Lovely Goths and their cute Goth bunnies. 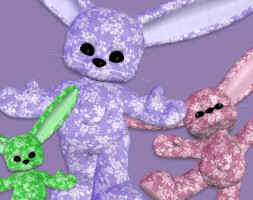 Bright Bunny Tubes, bright Easter rabbit graphics for your Easter creations. 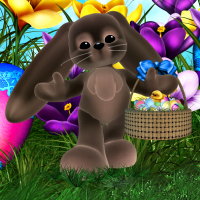 Easter Scrapbook Kit with mouse-drawn Easter graphics. A member favorite. 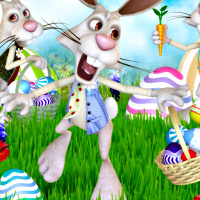 Wacky Rabbit Graphics, lots of zany clip art images for Easter and spring. 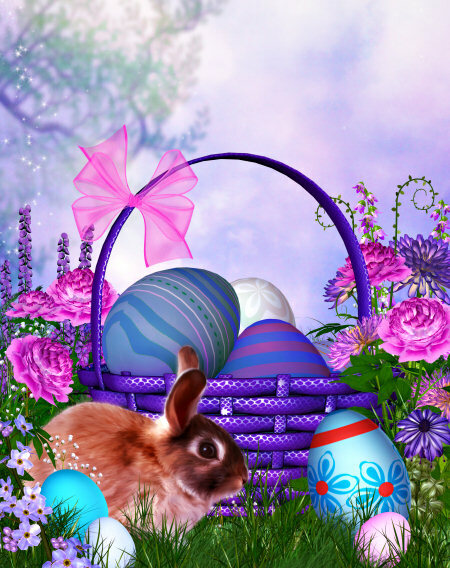 Easter Bunny Tubes, an assortment of Easter graphics, including bunnies, bunnies with baskets, and Easter baskets for your spring designs.